Also, I put together the simplest dessert ever to make: Strawberry Pound Cake! All you need is one of those store bought mini round pound cakes (they can usually be found in the bakery section of the grocery store). Mix and mash up some strawberries in a bowl with sugar to drizzle over it, then top with whipped cream- I prefer Reddi Whip! TADA ! Masterpiece and so delicious! i'm definitely getting some twinkly (is that the word?) lights this weekend. and, painting my room beige. lol they're just regular clear string lights ... but yes ...they really make a world of difference ! Okay, this means i can light my holiday scented candles tonight! A+++mazzzing post! I love that Christmas is now on it's way too!!!! Love the lights babe! IT's never too early to celebrate life! 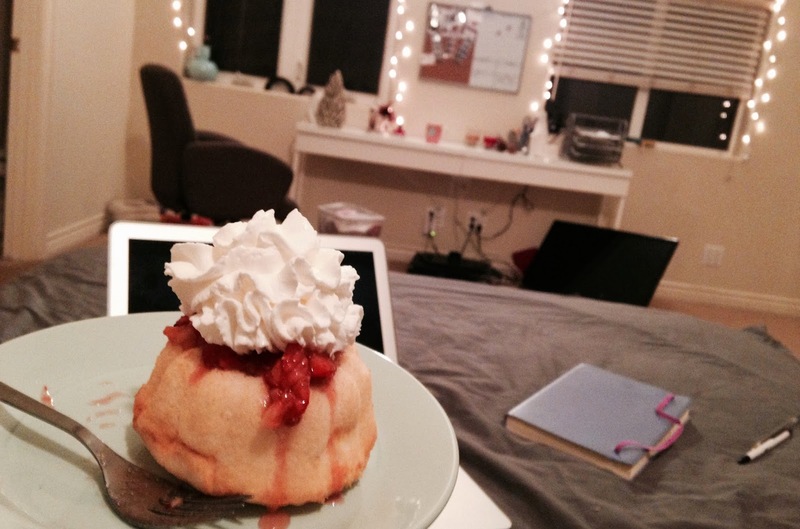 I can feel the Christmas vibe while looking at the strawberry pound cake above. Made me strave to death at this hour here in Philippines. I love your pictures; your place looks so cozy and homey! I found myself nodding as you spoke about the holidays and your family. I just recently relocated to DC and it's been 6, almost 7 months since I've seen my family. I get to go home for Thanksgiving, but not Christmas, so I totally feel you. Hang in there, girl! You can do it. I'm excited for you & the moment you close your laptop on your last final exam. That feeling is amazing, the feeling of having absolutely NOTHING to do for the the first time in months - made even more enjoyable by the holidays. Good luck! You got it, girl! Thanks so much .. it's nerve-wracking because I am not ready for finals to come .... I still have so much more preparing to do. But I cannot wait to sit back and breathe and not feel like I'm wasting time not reading something :) It must be such a relief. 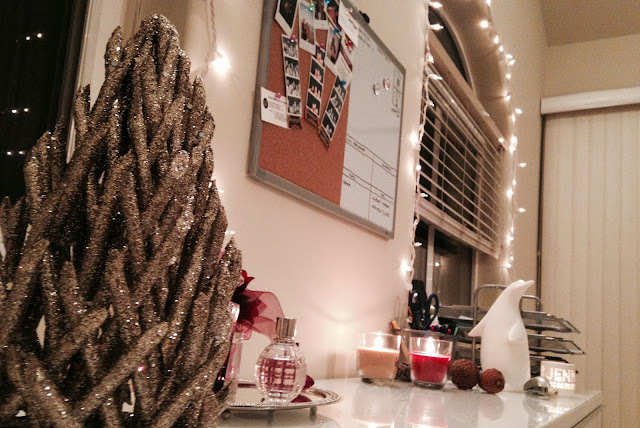 Your room is looking rather cosy! I'm jealous! I definitely felt the Christmas vibes just from looking at the photos! thanks you ! glad I'm getting people into the spirit ! Haha I love that you are in the spirit. My house is so blahhhh, no holiday decorations or anything. That strawberry pound cake looks GOOD!